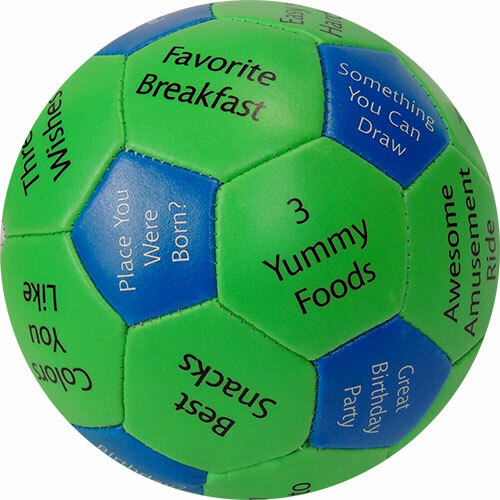 Green/Blue 32 panel Thumball(4″). 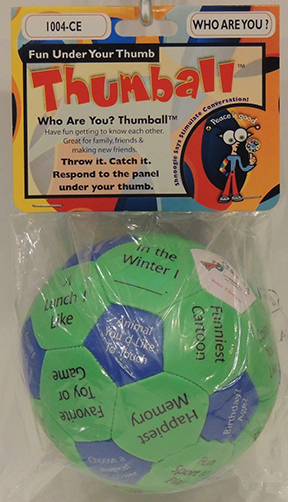 Fun innovative way for children to get acquainted. 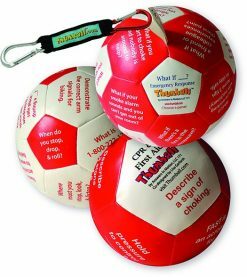 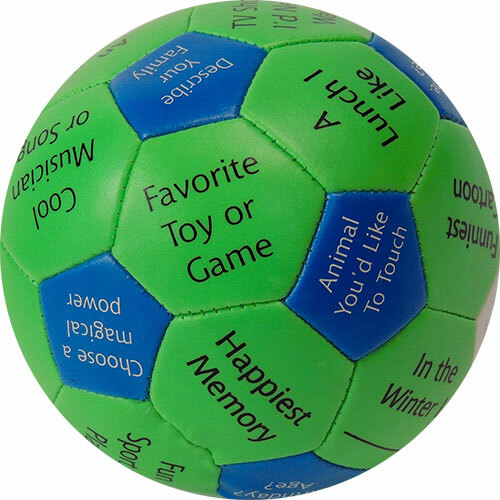 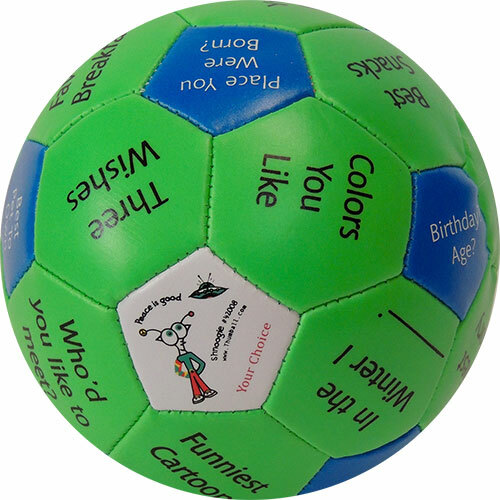 Stimulates social conversation and develops inter-personal communication skills. 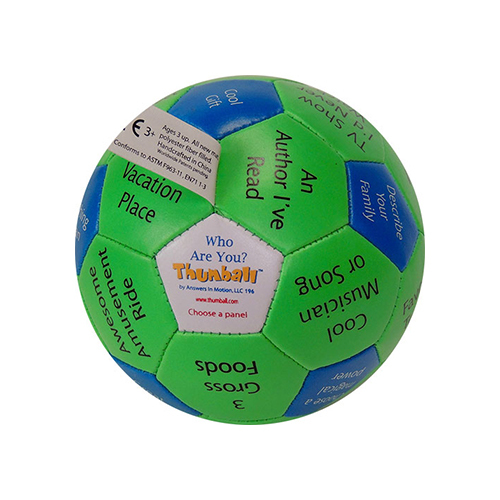 Showing interest in others by asking questions and actively listening to responses lays a foundation for friendships and improved relationships.